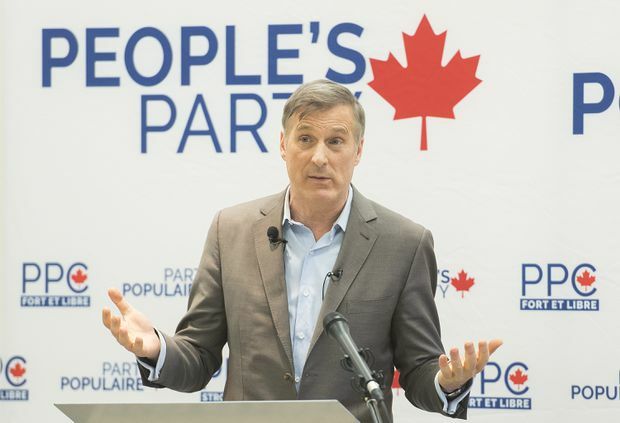 People's Party of Canada Leader Maxime Bernier, pictured here on Jan. 27, 2019, said at a press conference on Parliament Hill Monday morning that he is not 'playing politics' with tragedies and accused Prime Minister Justin Trudeau of exploiting the massacre by continuing to talk about the tragic event. “I said what I have to say on Twitter and I think I was very clear about that. That’s our policy,” he said Monday. Mr. Bernier was on Parliament Hill Monday to provide an update on the status of his party, which he said has launched a candidate selection process that includes an online application for those interested in running for election. “We will be ready, yes we will be ready, with 338 candidates for the general election,” he said. The former Conservative MP also made a point of noting that his party is not only attracting would-be Conservative supporters, but also people who back other political parties as well as those who didn’t vote in the last federal election.